SUPERVISOR CHUCK JOHNSON - Chuck Johnson was (re)elected November 2016 to serve as Mancelona Township Supervisor. Chuck was previous supervisor in the township but left to fill a vacancy as County Commissioner. Mr. Johnson wanted to serve the area at the Township level; he ran for Supervisor and was elected. CLERK MICHAEL BIEHL - Mike Biehl was elected Mancelona Township Clerk in November, 2008. He is a lifelong resident of Mancelona. Mike is currently employed by the Mancelona School District. Clerk Biehl can be reached at 231-587-8651 ext. 10. Mr. Biehl was re-elected November, 2016. TRUSTEE ROD VESEY - Long time Mancelona resident Rod Vesey was elected Township Trustee in November, 2016. Mr. Vesey served as a Police Officer in Mancelona for more than thirty years, retiring from his law enforcement career in April, 2016. TRUSTEE SAMUEL SIMMONDS - Sam Simmonds is in his second term as Mancelona Township Trustee. He was re-elected in November, 2016. 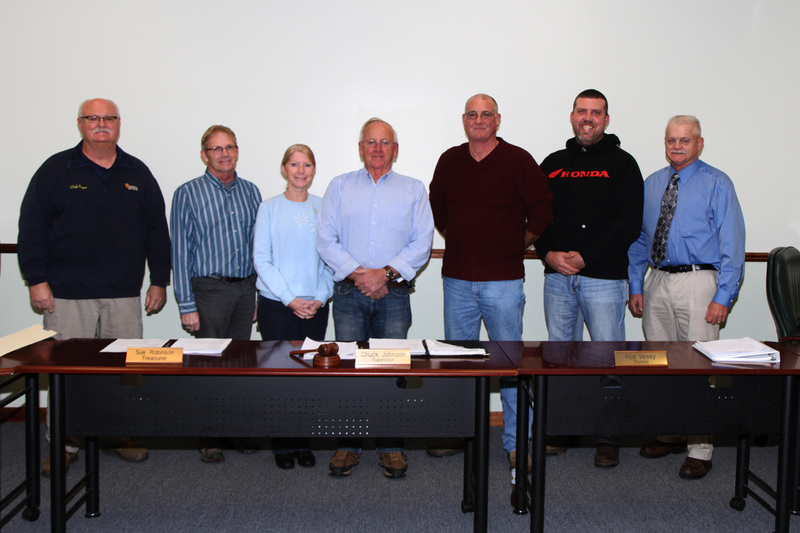 In photo: left to right - Mancelona Fire Chief Ed Sayre, Clerk Michael Biehl, Treasurer Sue Robinson, Supervisor Chuck Johnson, Trustee Rod Vesey, Trustee Sam Simmonds, Constable Lin Bieleck.